The press release from Jolie360 about Boston Breweries Craft Beer Village at the Cape Town Summer Market! 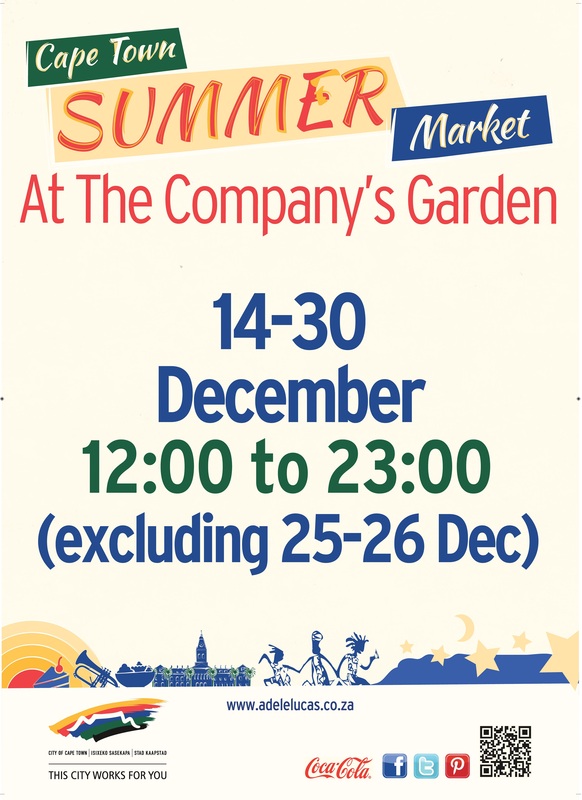 The Cape Town Summer Market (the newly branded Adderley Street Night Market) which runs from the 14th to 30th December (excluding Christmas Day and Boxing Day) and set in the gorgeous location of the National Heritage site, The Company’s Gardens now boasts the addition of a Craft Beer Village. The Company’s Garden will be bustling with an eclectic blend of musicians providing the soundtrack to the festivities along with stalls selling everything from hand-crafted décor, stylish clothing, and jewellery to tasty food. One of the highlights being the craft beer garden run by Boston Breweries. Market enthusiasts can look forward to a 12 tap bar system with Boston Breweries 10 fine brews on offer. These include; Boston Lager, Naked Mexican, Johnny Gold Weis, Whale Tale Ale, Van Hunks Pumpkin Ale, Boston IPA & Black River Coffee Stout. The newest additions to the Boston Breweries craft beer range will also be available on tap, these being the big boys beer Loaded Cannon Ale with a 10% alcohol percentage, Killa Jewel with a low in calorie content making it ideal for those who love beer but are watching their figure and lastly Honey Blonde the baby of the family, having been only recently brewed and made available to the public. Along with the extensive range of brews on offer there will also be wine and sparkling wine available for purchase. Enthusiasts can enjoy a craft style vibe with a Bedouin tent and plenty of seating; ideal for savouring and comparing beer & wine styles. The Craft Beer Village celebrates the craft of brewing in a friendly atmosphere that will allow interaction with the staff about the tasting regime and about which beers to pair with certain foods on offer at The Cape Town Summer Market!